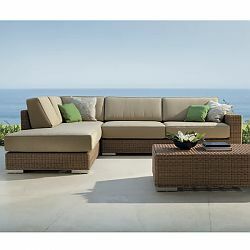 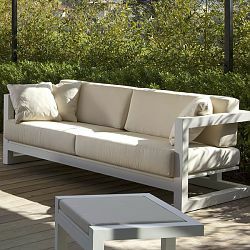 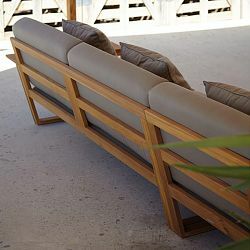 Point, Lineal, sectional, sofa, Outdoor, teak, Lounge - HomeInfatuation.com. 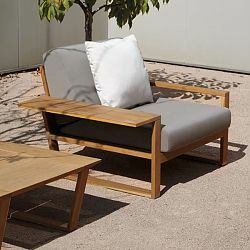 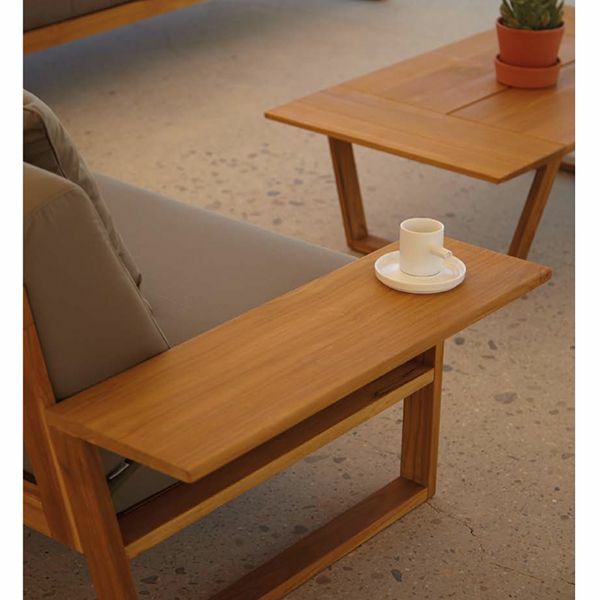 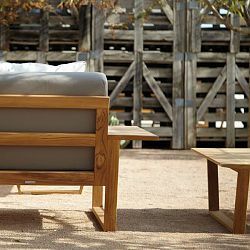 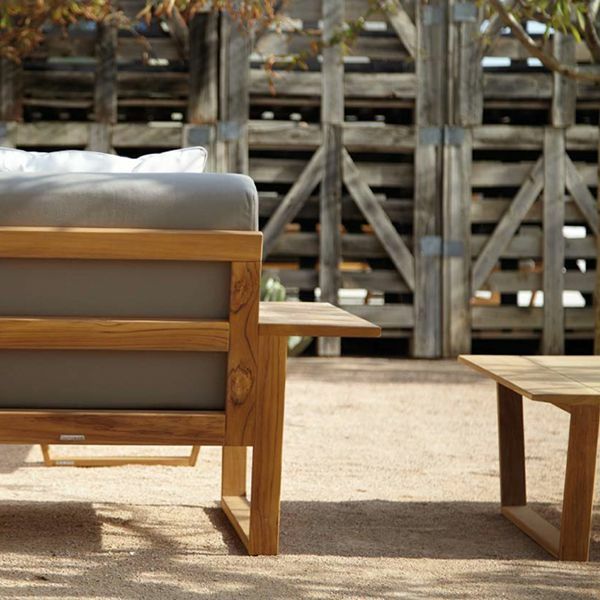 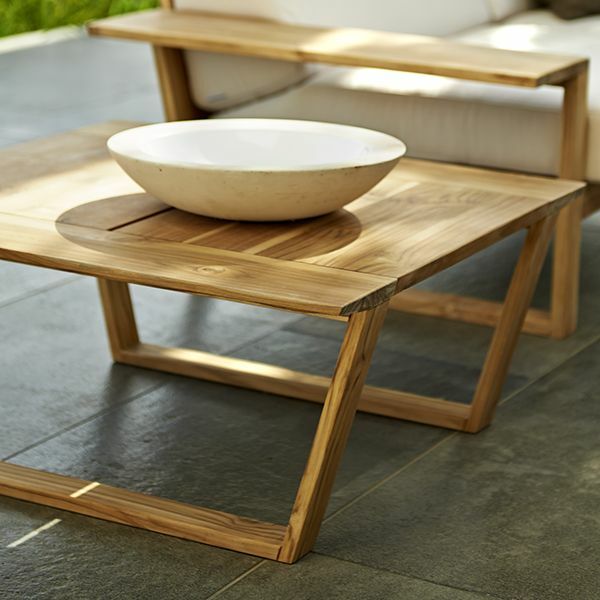 The Lineal outdoor sectional sofa and chair collection is made of teak. 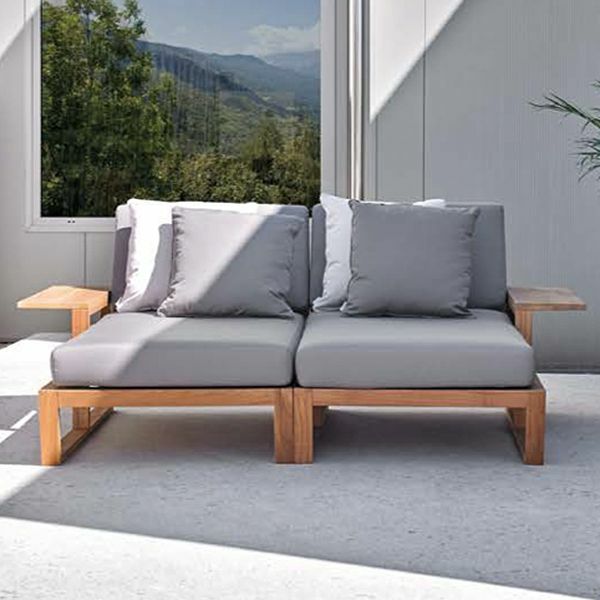 The cushions are made with a quick drying outdoor rated foam and covered with Sunbrella® outdoor acrylic fabric that has excellent resistance to color fading by the sun. 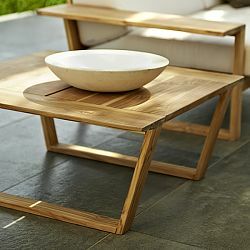 Coffee and end tables are also available. 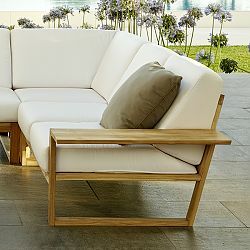 The teak frames have a clear finish coating. 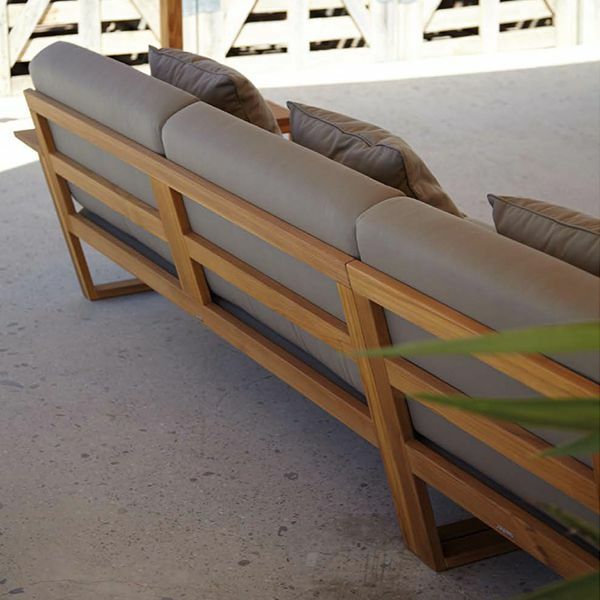 Minimum order of two sections required. 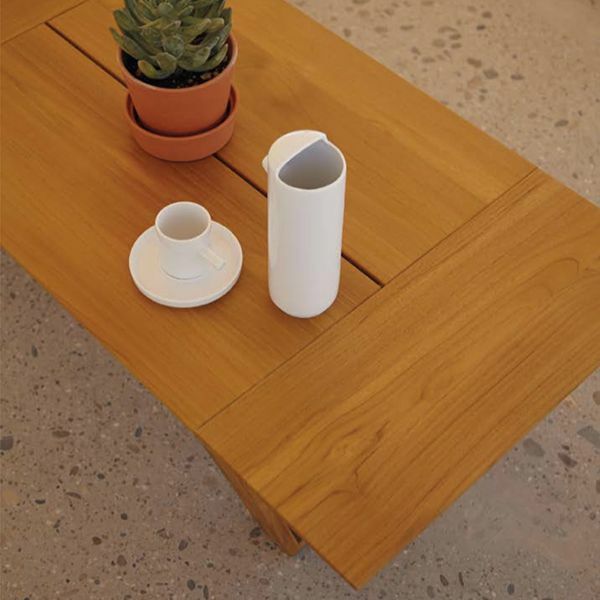 Tables cannon be ordered separately.